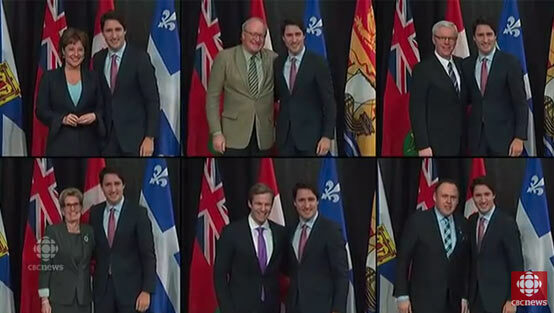 Provincial premiers met with Prime Minister Justin Trudeau. For the full story, please visit http://www.cbc.ca/news/politics/trudeau-first-ministers-meet-climate-change-1.3331290 . This is an update to the previous blog, Canada’s Environment and Climate Change Minister Will Attend the 2015 Paris Climate Conference COP21, November 30 – December 11: To “work with our international partners on the adoption of an effective climate change agreement and in the transformation towards a low-carbon, climate resilient global economy. Yesterday, the Prime Minister of Canada, Justin Trudeau, hosted a First Ministers’ Meeting with provincial and territorial Premiers to discuss the country’s strategy to fight climate change. The Prime Minister has committed to holding annual First Ministers’ Meetings, and to open and continuous dialogue with each provincial and territorial Premier, in service to the people of their province or territory. COP21, also known as the Paris Climate Conference, will be held November 30 to December 11, 2015, in Paris, France, and is the culmination of four years of negotiations towards a new global climate agreement. COP21 will see Canada engaging with other countries in negotiations towards the adoption of a new international climate change agreement. The Prime Minister has invited all provincial and territorial leaders to attend, as well as the federal Opposition leaders and Green Party leader Elizabeth May. The Prime Minister has invited Premiers to accompany him to Paris, demonstrating Canada’s intention to work in partnership with the provinces and territories to reduce greenhouse gas emissions and position Canada as a global leader in the fight against climate change. The Eglinton Connects Planning Study Team Provides Update on Planning the Future of Eglinton Ave.